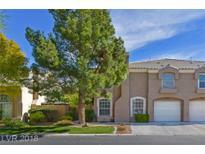 Below you can view all the townhouses for sale in the Bermuda Serene subdivision located in Las Vegas Nevada. Listings in Bermuda Serene are updated daily from data we receive from the Las Vegas multiple listing service. To learn more about any of these townhouses or to receive custom notifications when a new property is listed for sale in Bermuda Serene, give us a call at 702-323-5939. Garage attached with entry into home. Great property. A must see. 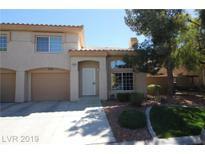 MLS#2084443. RE/MAX Advantage. 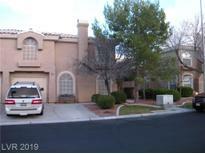 *This is a darling townhome in a gated community that is close to restaurants, banks, schools, casinos, freeways* New paint*2 1/2 yr old hot water heater*All appliances included*Plantation Shutters downstairs*Laundry room has cabinets*Gas glass door fireplace in living room*Water softener & Reverse Osmosis system*This is a probate sale & needs court approval which may take 60 days to close escrow* MLS#2067255. Urban Nest Realty. Easy to show. Come check it out! ! MLS#2046021. Compass Realty & Management, L.
Separate living room and kitchen. MUST SEE! MLS#2031980. Century 21 Americana.